Here, active participation is not reduced to an increased “busy” role-playing of people in the liturgy, or turning the Mass into a “production” with a cast of thousands. Rather, it is a call for a deeper and more unified engagement of mind, heart and body. 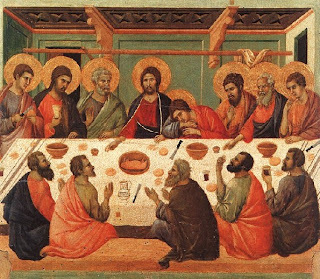 We are encouraged to speak and sing the Mass parts, engage our bodies in the various liturgical postures (standing, sitting and kneeling) and gestures, and maintain “bodily attitudes” – which one might interpret to mean that our bodies are in sync with our interior dispositions. 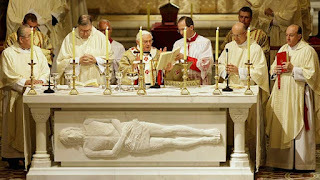 The final mention is of observing reverent silence at key points of the Mass. In our non-dualistic, incarnational Catholic view, internal and external dispositions are to be in harmony, thus bringing about a unified focus of one’s being to the mysteries of the Word and altar. Actuosa participatio means above all a willing and conscious participation in these mysteries. Sacrosanctum Concilium did reform and expand certain roles in various liturgies, including the Liturgy of the Hours, both for clergy and laity, reminding us that every follower of Christ is a priest, prophet and king. 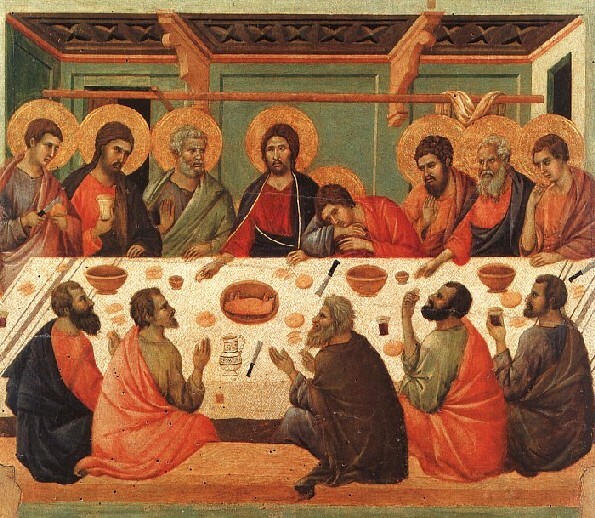 Yet the distinctiveness of the liturgical roles is also maintained: “In liturgical celebrations each person, minister or layman, who has an office to perform, should do all of, but only, those parts which pertain to his office by the nature of the rite and the principles of liturgy” (SC 28). The Council wanted to avoid both creeping clericalism and laicism in the liturgy. It wanted to ensure that a proper balance between the members is maintained to ensure a healthy Body. Making the liturgy accessible to our mind, heart and body involved the practical business of prescribing norms for both language and music. This included a greater opening to the use of the vernacular, since it “frequently may be of great advantage to the people”. The mother tongue was to be extended to the “readings and directives, and to some of the prayers and chants”, according to norms that bishops could develop and the Apostolic See confirm. Regarding the Mass as a whole, the document stated that it was permissible to have “legitimate variations and adaptations to different groups, regions, and peoples, especially in mission lands, provided that the substantial unity of the Roman rite is preserved” (SC 38). The understanding here is that the liturgy can absorb elements from different lands and peoples, “as long as they harmonize with its true and authentic spirit” (SC 38). At the same time, Sacrosanctum Concilium maintained that “the use of the Latin language is to be preserved in the Latin rites”, a point that may have been overlooked in the decades that followed the Council, yet which appears to be returning to the fore in recent years, as for example, with the establishment of the Extraordinary Form. While a “suitable place may be allotted to the mother tongue…nevertheless steps should be taken so that the faithful may also be able to say or to sing together in Latin those parts of the Ordinary of the Mass which pertain to them” (SC 54). Rather than increasing a dichotomy between differing forms of the Mass, however, it seems a greater integration of vernacular and Latin in one Mass was the aim of the Council. Sacrosanctum Concilium devotes its final sections to sacred music and art. Here it is unequivocal in stating that “the Church acknowledges Gregorian chant as specially suited to the Roman liturgy: therefore, other things being equal, it should be given pride of place in liturgical services” (SC 116). It goes on to say that “other kinds of sacred music, especially polyphony, are by no means excluded from liturgical celebrations, so long as they accord with the spirit of the liturgical action, as laid down in Art. 30.” Article 30, as we have seen, called for the active participation of the people. The Council, therefore, was calling for greater active participation of the people in the singing of Gregorian chant and polyphony in sacred liturgy. The secular world in recent decades has rediscovered the power of these musical forms, their enduring and transcendent quality, and conducive power to prayer. They are also making a certain comeback in the Church, as Catholic parishes and religious congregations rediscover this musical heritage, with even groups of youthful composers arranging new chants for liturgical life. 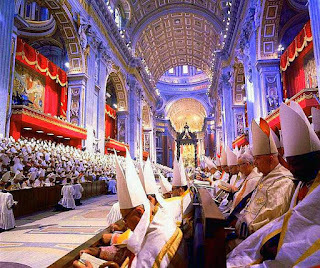 Sacrosanctum Concilium was the first constitution approved by the Second Vatican Council, and passed by an overwhelming majority of the voting bishops, 2,147 to four. It’s implementation in the life of the Church is an ongoing project, but one that this Jesuit can appreciate, given St. Ignatius’s “principle and foundation” of our human creation: “the praise, reverence and service of God our Lord.” May his name be praised forever: Laudate Dominum!